Dr Jammal started the practice with Madeline. His interests include paediatrics, men’s health, ethics, health law, and quality and safety in health care. He also has a Masters of Health Law. He has a keen interest in health economics and models of care in general practice, including the Patient Centred Medical Home framework. He sits on various MBS review committees, is a member of the evaluation subcommittee of the Medicare Services Advisory Committee and sits on review committees for Therapeutic Guidelines. He is National Clinical Champion for Health Care Homes. He was RACGP NSW GP of year in 2017. Dr Nuwan Joined the team in 2015. He spent much of his childhood in northwestern Sydney and has a good knowledge of the benefits and challenges faced by patients in the area. He completed his bachelor’s degree at the University of Sydney, majoring in neuroscience and was granted the university medal. He went on to study medicine at the Australian National University in Canberra and returned to Western Sydney to complete his hospital training. He subsequently obtained fellowship with the Royal Australian College of General Practitioners and also gained further qualifications in child health during this time. Nuwan enjoys the breadth and diversity of general practice. He has a special interest in paediatrics, treatment and prevention of chronic disease and men’s health. 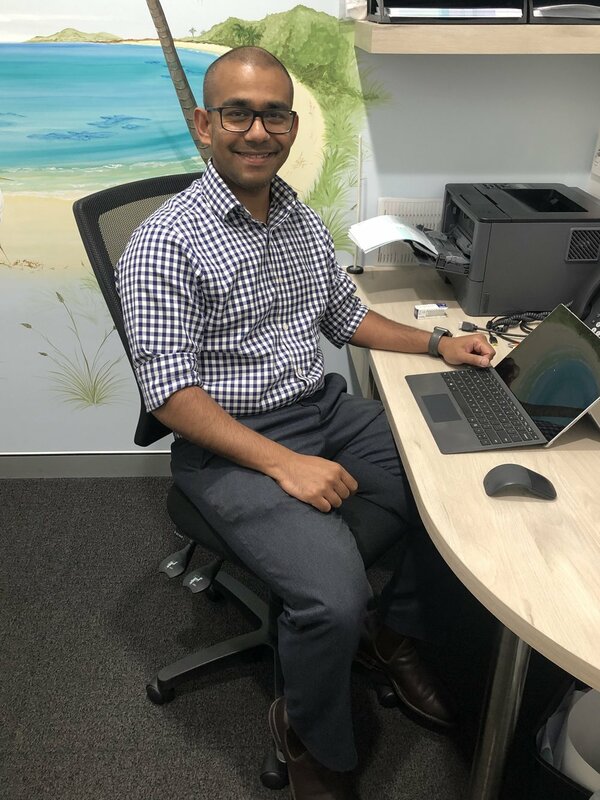 Dr Nuwan is also actively involved in training the next generation of general practitioners and also works as a medical educator with GP Synergy. Dr Rajan commenced working at Hills Family Practice in July 2013. Prior to that she has gained experience at Hornsby Hospital GP, Alpha Medical Centre and Astley Medical Centre. Dr Rajan completed her fellowship exams with the Royal Australian College of General Practitioners. 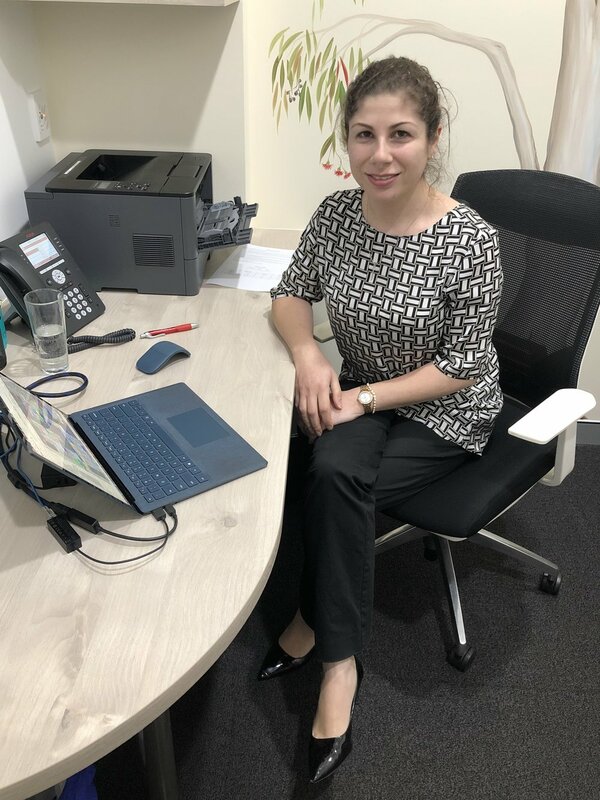 As of 2017, she has taken on an extra role as a Clinical Editor with Health Pathways which is an online clinical and referral tool for General Practitioners in Western Sydney. She loves the variety General Practice has to offer, and has a keen interest in Paediatrics and in looking after the health needs of families. She does antenatal shared care with the hospital in Western Sydney. Dr Green graduated from University of Sydney in 1998 with M.B.B.S and also completed B.Sc (Hons 1 – Genetics) at the University of Sydney. She has worked at Royal North Shore Hospital and has had clinical experience at Westmead Hospital, Nepean Hospital and in the Maternity hospital in Apia, Western Samoa. She has worked in General Practice since 2009 and has been working with Hills Family General Practice since 2011. Dr Green enjoys all aspects of General Practice. She was a counselor with the Australian Breastfeeding Association for a number of years and has her Family Planning Australia Certificate. In her spare time, Dr Green enjoys being with family and friends, seeing new places in Australia, camping, reading, sitting near a fireside and dancing. She would like to speak better German and to improve her fitness. Dr Yu graduated from the University of New South Wales and has postgraduate qualifications including the Diploma of Child Health (University of Sydney) and Certificate in Sexual and Reproductive Health (Family Planning Australia). She is a Fellow of the Royal College of General Practitioners in Australia. Dr Yu loves the variety in General Practice and she has been with us since 2010. In 2014 Dr Yu worked full time and also undertook further study in Mental Health and Dermatology. In 2015 Dr Yu is completed her second year of study in Mental Health. Dr Ambreen completed her medical degree in Pakistan. She then went to England where she worked for many years. During this time she gained several qualifications, including DCH, from the Royal College of Paediatrics & Child Health, DRCOG from the Royal College of Obstetricians and Gynecologists, DFFP from the Faculty of Sexual and Reproductive Healthcare. Dr Ambreen has also attained her MRCGP from the Royal College of General Practice in the United Kingdom. In Australia Dr Ambreen has continued her advanced education and has gained a Diploma from the Australasian College of Skin Cancer Medicine and a Fellowship from the Royal Australian College of General Practice. Dr Ambreen has a strong interest in Skin Cancer Medicine, including diagnosis with skin checks and excision. She is also interested in Gynecology and is qualified to insert IUD’s. Dr Semrani is a Vocationally Registered Fellow of the RACGP since 2015 and has a Diploma of Child Health. Prior to 2015, she trained as a GP registrar with WentWest. We are pleased that she has joined our practice in March 2018. Shashenka completed her medical degree at the University of New South Wales in 2014, graduating with Distinction. Shashenka trained at several hospitals in Sydney including Hornsby-Kuringai Hospital, St Vincent’s Hospital and Mona Vale Hospital. She has a keen interest in Women’s health and preventative health care. She enjoys the diversity of general practice and the holistic approach to health care that it provides. Shashenka enjoys spending her spare time with her family and friends. We are very pleased to announce that Shashenka is the 2018 NSW/ACT RACGP Registrar of the year. 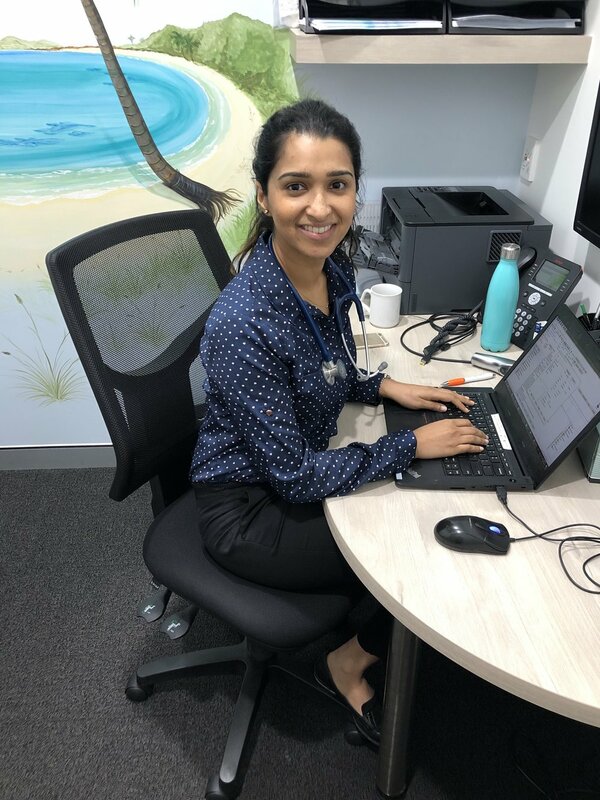 Donna started her GP registrar training in 2018, prior to that she worked at the Children’s Hospital Westmead as a paediatric registrar. Sarah graduated from the University of Sydney with an honours degree in Medicine & Surgery prior to which she completed an honours degree in Medical Science with a Pharmacology major earning her the University Medal. As a junior doctor, she trained at several hospitals including Westmead Hospital and the Childrens Hospital at Westmead and subsequently completed a Diploma in Child Health through the University of Sydney and the Childrens Hospital at Westmead and a Certificate in Sexual Health & Family Planning through Family Planning Australia. She joined us in 2011 as a general practice registrar and has continued with us since as a fully qualified General Practitioner. Sarah loves the complexity and challenges of general practice and is passionate about patient education and empowerment. Above all she values the therapeutic relationship she is privileged to share with her patients and the continuity of care that general practice allows. She is dedicated to educating our future doctors and is actively involved in training general practice registrars. Away from work Sarah loves spending time with her young family and believes being a parent helps bring a deeper dimension to her practice. Emily enjoys the continuity of care that general practice offers, and she provides holistic care. She has special interests in paediatrics, women’s health and preventative medicine but loves all aspects of general practice. Dr Hunter will be on maternity leave from April 2018.